All the sabbats, contrary to popular belief, are great for working and connecting with the Otherworld. Imbolc, one of the fire festivals, celebrates the coming of Spring and the return of the Sun. 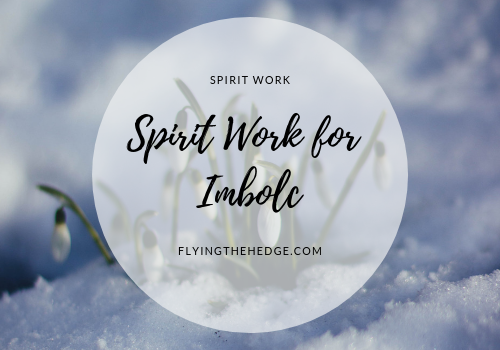 With these themes in mind, here are 3 ways to connect and work with spirits on Imbolc. 1. Meet and greet your house spirits. 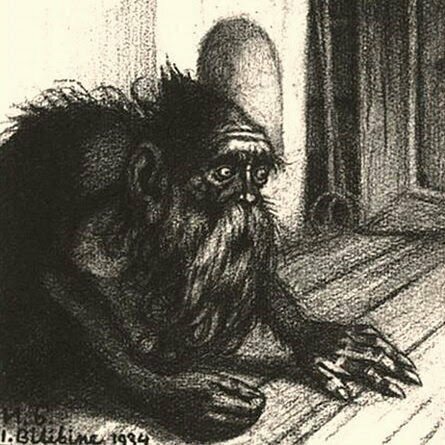 Every home has a spirit of its own as well as house spirits that you may or may not be aware of. Imbolc is a great time to meet and get to know them, as this is a time for new beginnings. This is also the time for "spring cleaning," and it is important that you work with the spirits of your home during any such deep cleaning or purging to avoid upsetting them. You may even end up finding them extremely helpful in the process as well! Examples of such spirits include Brownies, Hobs, Kobolds, Hobgoblins, Domovoy, and Tomtes. 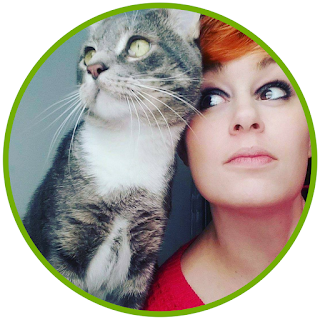 I grew up hearing about Tomtes, especially when something that was missing was suddenly found in plain sight, so this is often the name I use when I refer to my household spirit and guardian. With your Grimoire or Book of Shadows close at hand, sit on the floor in a central location of your home. Begin by closing your eyes and trying to sense your home's spirit, not your guardian spirit. What does your home feel like to you? Does it have an aura? If so, what color is it? Does it have a voice? Spend roughly 5 to 10 minutes sensing your home and gathering as much information as you can. When you are done, thank your house for providing you with warmth and shelter, and jot down any notes regarding your experience. After you have met your house's spirit, its time to see if you have a home guardian spirit. The best place for this type of work is in the kitchen. Close your eyes and search your home's energy for anything unusual, especially around the stove. Since you have already met your home's spirit, you will be able to distinguish its energy from any other presence that may be residing there. Don't be upset if you can't find anything. It doesn't necessarily mean you don't have a household guardian, it may be that they are hiding from you. If you are able to sense something, greet it, and ask what it is and if it has a name it would like you to call it. Household spirits will generally identify themselves if you ask them directly, as they are there to keep you and the home safe. Make sure to thank them before you are done with a small offering. Milk, honey, or some bread work nicely. Write down anything you experienced. If you are unable to sense the spirit, leave an offering all the same on top of the stove. Continue to try to sense your household spirit for up to 3 days. If you are still unable to make a connection, you may not have a home guardian spirit and should consider inviting one in. As I mentioned before, spring cleaning starts around Imbolc, so why not cleanse your own spirit? I know witches are more likely to ritualistically cleanse themselves, but when was the last time you truly practiced self-care instead of just saging yourself? Yeah, that's what I thought. To cleanse your spirit, why not take a white bath? This recipe is adapted from Devin Hunter's recipe in his book The Witch's Book of Spirit. I have tried a lot of bath recipes, but this one is by far the best at deep cleaning your spirit. It is inspired by a New Orleans-style Voodoo recipe to cleanse you both spiritually, mentally, and physically. Begin by drawing a bath. While the bath is still filling, mix the salts, egg shells, and sage together in a white bowl (white symbolizing purity here). As you do so, empower the mixture with your intent. Place the bowl under the running water and allow the mixture to swirl around until the bowl overflows. Dump the contents into the bath and finish filling the tub. Once the tub is filled, draw a pentacle with your hand above the water and pour the milk through the center of it. In your mind's eye, push the pentacle into the water. If you wish, you can cast a spell over the bathwater or simply state your intention. Hunter has a beautifully written spell that you can find on page 89 and 90 of his book. Once the milk has been added, you have roughly 30 minutes before the milk sours. The combination of sage and hot water causes this reaction, but you may notice that the worse off you are energetically, the stinker the bath gets. When you are done, drain the water counterclockwise (you can do this by swirling the water counterclockwise a couple of times), seeing all negatively wash away with it. Remember to shower afterwards, allowing the running water to wash away anything that may remain. Do not wash with soap For this particular bath, you should dry off with a white towel to remain pure. Afterward, spend some time in silence, meditating and clearing your mind. This is a really great way to prepare for hedge riding or to unwind after a particularly stressful day. It's also a great way to cleanse yourself after you have done a deep space clearing in your home. When you deep clean your house and spiritually cleanse it, sometimes stale or negative energies get stuck to you. This bath is a surefire way to flush them away. 3. Practice weather divination, such as nephomancy and chiromancy. Any form of divination is spirit work, as the messages we receive and interpret come from the spirit world. Every year, cities around the world release a groundhog to predict the coming of Spring. I doubt many of you have access to a groundhog, but there are other forms of weather divination you can practice this time of year. Nephomancy is the art of studying the size and shape of clouds while chiromancy is interpreting the pictures we see in the clouds. On a sunny day, spend some time seeking messages from the clouds. Begin by meditating for a moment or two on your question. Ask your guides to provide you an answer through the clouds. After you are sure your guides have heard you, begin watching those white, fluffy masses move across the sky. Write down what you see and predict in your Grimoire or Book of Shadows. Nephomancy and chiromancy are great ways to hone your divination skills. It will make you a better hedge rider and diviner in the long run, plus who doesn't like watching the clouds. It is so relaxing. What ways do you connect with the spirit world on Imbolc? Leave your thoughts in the comments below!